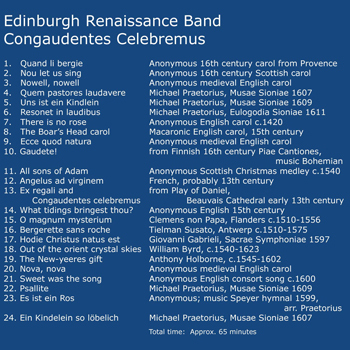 The CD ERB 003 from the Edinburgh Renaissance Band was released in August 2011. 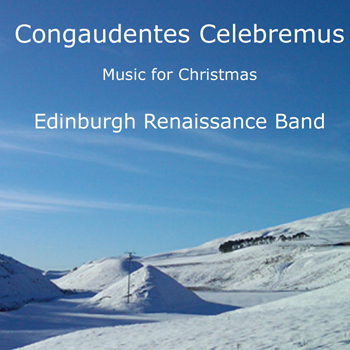 This CD presents a collection of 24 mediaeval and Renaissance pieces celebrating the Christmas story. Copies are available at pounds sterling (Lstg) 11.50 each plus postage and packing, from Peter Jones (address below). 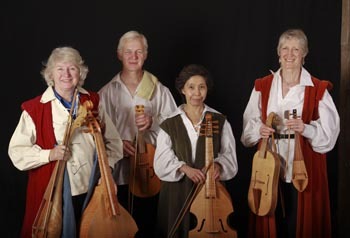 Please make payment in sterling to "Edinburgh Renaissance Band"
The CD ERB 002 from the Edinburgh Renaissance Band was released in August 2005. 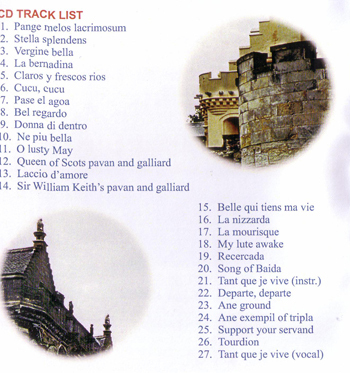 This CD presents 21 mediaeval and Renaissance pieces likely to have been heard in the castles and churches of Europe in the 15th and 16th centuries. 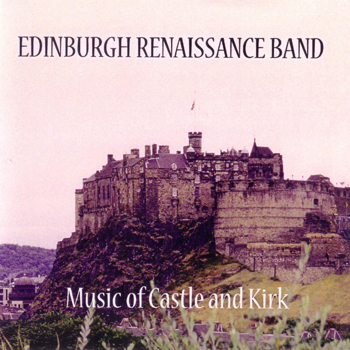 The CD ERB 001 from the Edinburgh Renaissance Band was released in July 2000. 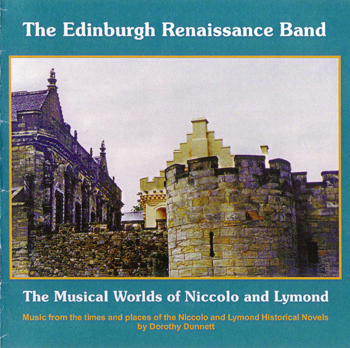 This CD presents 27 pieces of music from the times and places of Dorothy Dunnett's Niccolo and Lymond historical novels. 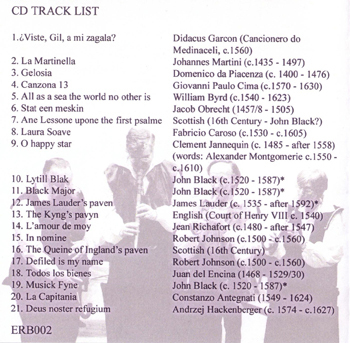 Some of the music was included in a 1990 tape, but over half the pieces are new recordings made by the Edinburgh Renaissance Band for this CD.